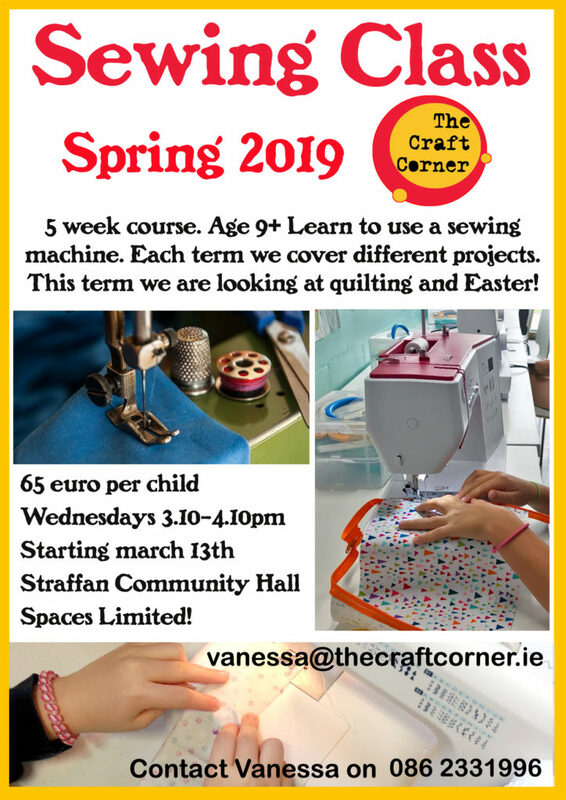 Spring 2019, our sewing classes in Straffan will start back on Wednesday the 13th March. Our Machine Sewing Classes are suitable for ages 9 and upwards. Girls and boys alike. We have shared sewing machines for our students to use or you can bring your own. Spaces are limited, just a couple remaining.